Alpha Omega Wireless, Inc. ("AO Wireless") will be attending the DistribuTECH Conference in San Antonio Texas, Jan 28th to 30th, 2014. Please visit us at booth 3910. AO Wireless President Joe Wargo says, "Alpha Omega Wireless works with many client partners in the Utility Industries provideing wireless communications for point to point wireless backhaul, point to multipoint wireless Ethernet bridges, wireless SCADA telemetry, licensed WiMax, LTE, tower construction, wireless engineering, network design, and wireless installation. We are pleased to be invited to be at the conference and work with many of our client partners and other Utility Industry organizations. This will be a great show!" DistribuTECH is the utility industry’s leading annual transmission and distribution event, covering automation and control systems, energy efficiency, demand response, renewable energy integration, advanced metering, T&D system operation and reliability, power delivery equipment, commercial and industrial energy management technology and water utility technology. Alpha Omega Wireless will be attending the 2012 Border Management Conference and Technology Expo in El Paso Texas October 15th - 17th. If attending please come visit us at booth 405. Alpha Omega Wireless, Inc. ("AO Wireless") has recently hired on James Soares, a seasoned Wireless Field Engineer and Tower Installer to help expand and grow the company's Western Region operations. James is based out of our Sacramento, California office. 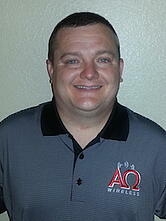 James comes to AO Wireless with years of outdoor wireless industry experience. 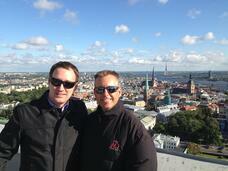 James has been involved in the communications and tower industry for many years. During which time he has been involved with tower site construction and wireless backhaul installation. James has been involved in the complete telecommunication site construction of monopoles and self supporting towers up to 300 feet. He has performed installations up to 980 feet . James has installed point to point wireless systems and has sub contracted to many cellular telecommunications companies to include T-Mobile, Sprint, AT&T, Cricket, Verizon and Clearwire Communications. 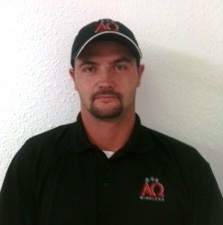 President Joe Wargo says, "We are excited to have James as part of the AO Wireless team. He brings a lot of experience to the organization. He has an extensive background in outdoor wireless backhaul, to include: point to point wireless backhaul, both unlicensed wireless Ethernet bridges and licensed microwave communication, point to multipoint wireless Ethernet bridges, and two-way radio. James also brings on board experience in communication tower site buildouts which will allow us to provide more extensive project management in the field. We believe James will be able to help us exceed our growth goals, while helping us expand into more geographic locations."